30b30#4.1: Coconut Curry Butternut Squash Soup | As I blog. Last week I started off 2012 with a morning trip to the farmer's market. Walking down a sunny street in sandals, on January 1st, will never ever get old to this Midwest soul. It does still feel like something is missing if it's not chilly in November and cold in December, but I'm happily acclimated to Bay Area Januaries. My prized purchase from the market was butternut squash. Well, actually eight squash. Though I passed many a full grown squash, one woman was selling bags of baby butternut squash, some strange maternal instinct kicked in, and before I knew it, I was walking home as octo-squash-mom! The squash were actually the perfect size for an individual serving. 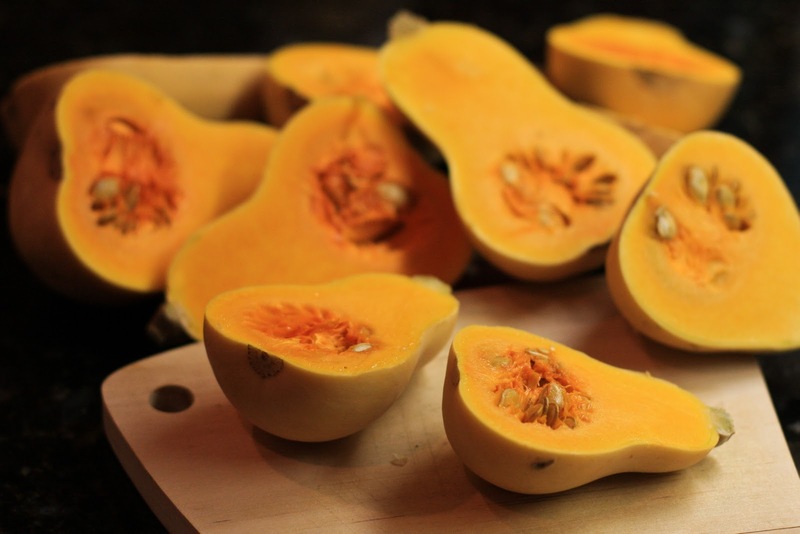 Growing up, one of my favorite snacks (or desserts) was roast acorn squash. No one else in my family liked it, so my mom would buy and make it just for me, and often add a little butter, cinnamon, and brown sugar. Now I have to make it for myself. I sometimes veer of the trusted path and roast it with maple syrup or olive oil and salt. I've chosen to ignore that adding butter and sugar may negate the health points of eating a vegetable. I recommend you do too. After three nights of roast squash, I wanted to try something different, which seemed like the perfect opportunity to make a soup and start work on my 30 before 30 list. I had such high hopes for this soup. In the past year, I've eaten butternut squash soup for lunch over two dozen times at work, and never have I tired from the sweet and creamy flavor. I was hoping that my soup would come out as good as my taste buds remembered, but to be honest, it just lacked... something. It definitely wasn't a total bomb, and it had a lot of the right flavors, but it just lacked the luxurious and consistent flavor that I've come to expect. Oh well, room for improvement. For the purposes of documentation, I'll share the recipe below, but when I try to make a squash soup again, I'll probably be experimenting with another. Roast deseeded butternut squash in the oven at 400F for 30 to 45 minutes and let cool. 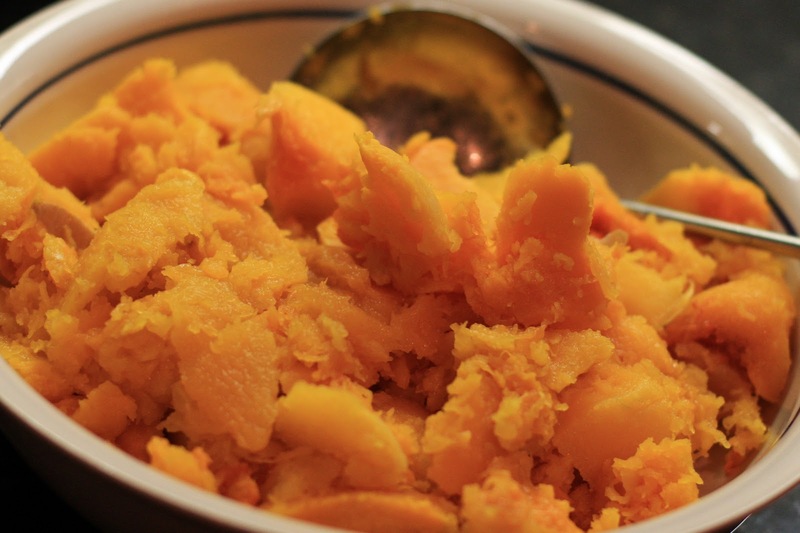 Scoop out the butternut squash flesh and reserve for later. In a large pot, saute onions in olive oil until translucent. Add curry powder, cayenne, tomato, and salt and pepper, and cook together for 3-5 minutes, stirring occasionally. Add the roast squash, coconut milk, and vegetable stock. Bring the mix to a boil, and then simmer for 20 minutes. 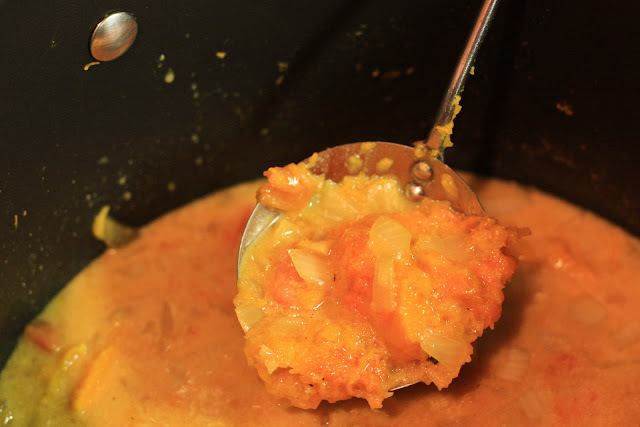 Puree the soup to a smooth consistency using either a food processor or hand blender. Taste for seasoning, and add additional stock or coconut milk as needed. Anyone have a butternut squash soup recipe they love and can share? I suspect that I should find a recipe with a bit more fat in it (e.g. cream), and maybe stick with regular coconut milk versus lite, which is what I had at home. I don't use coconut milk or cream or tomato on mine. Just the stock, onion and squash, seasoned with pepper, nutmeg, cinnamon and tabasco (no salt, the stock already has that). For serving top with crumbled goat cheese or feta and chives. 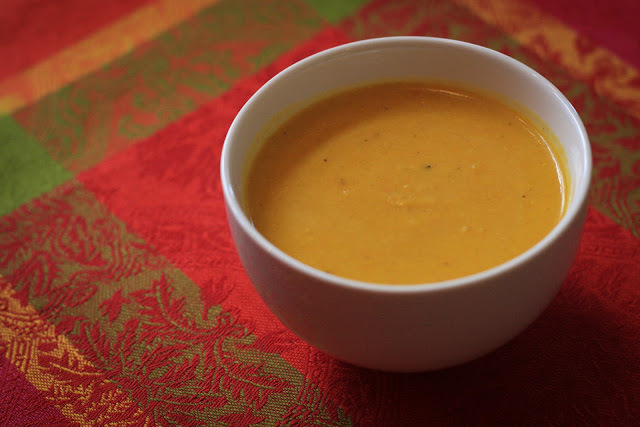 I also love adding coconut in my squash soup, the coconut gives more good taste in my soup. My family really love it.